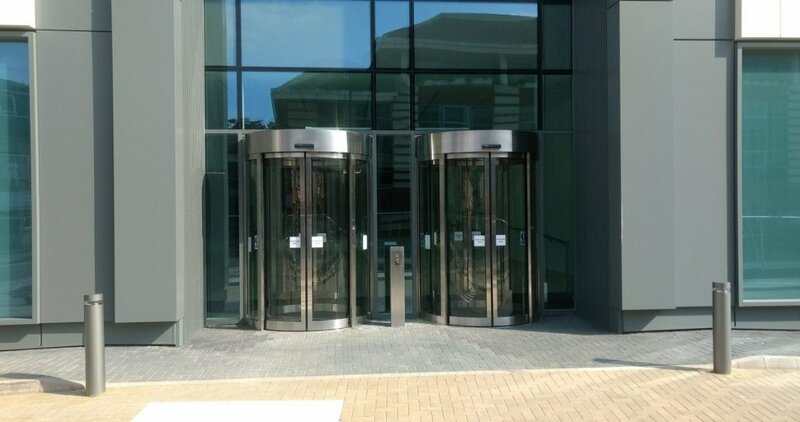 Curved Sliding Doors from EA Group offer impressive aesthetic appeal as an entrance solution and provide an excellent automatic disabled access door solution. 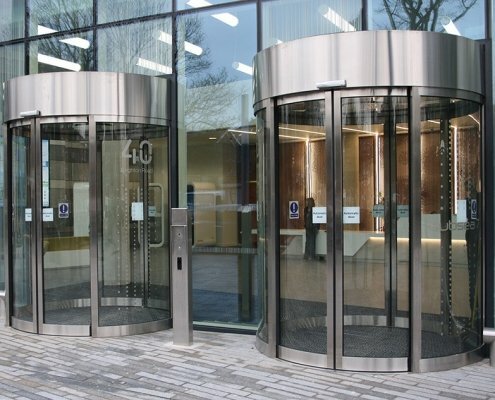 Curved Sliding Doors are designed for building applications that aspire for the aesthetic rounded look of a revolving door. 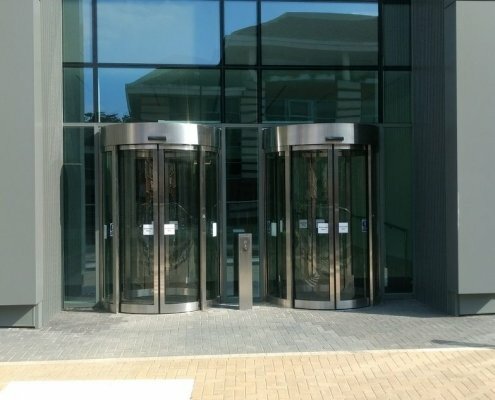 However may have the requirement to provide disabled access within a limited space of the entry area. 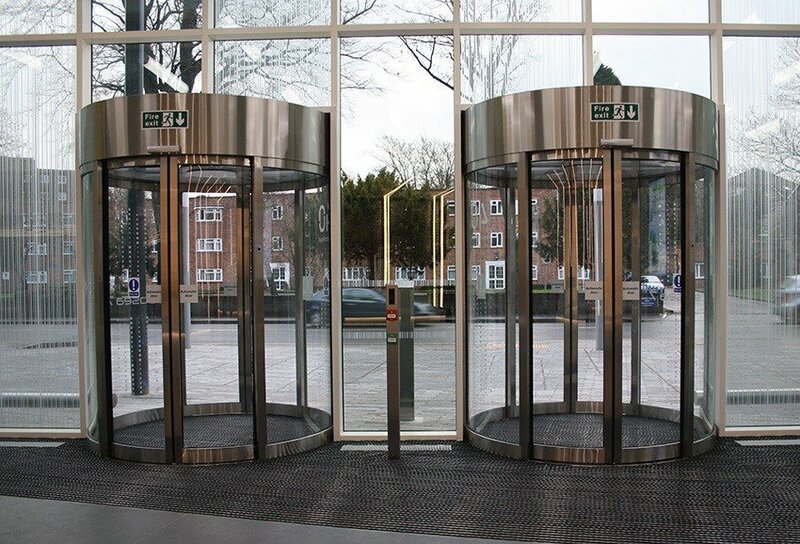 Our automatic curved sliding doors are an entry solution that meets this requirement. 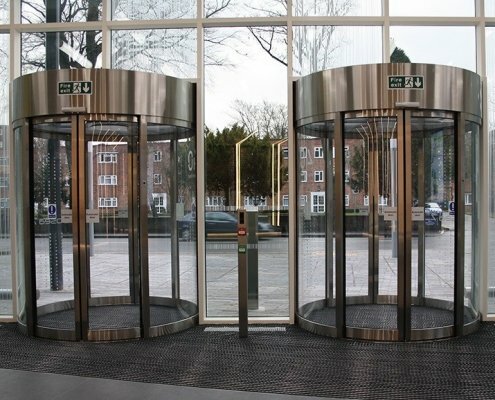 Therefore it negates the need to provide a separate pass door to the side of a traditional revolving door. 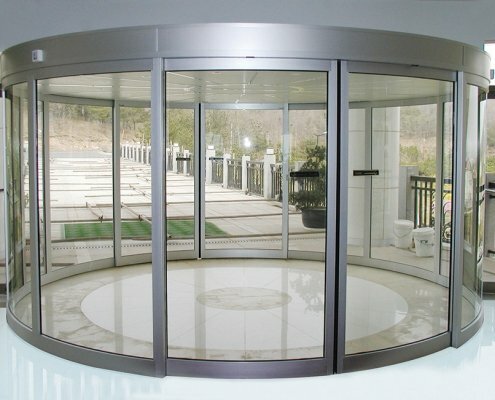 The curved sliding door consists of two sets of two circular sliding door leaves and it offers an aesthetically appealing design. Furthermore they feature the high capacity and ease of passage offered by traditional sliding doors. The curved appearance offers a slightly wider opening than a traditional straight sliding door set. However this is achieved within the same installation width, giving scope for a larger throughput of people. 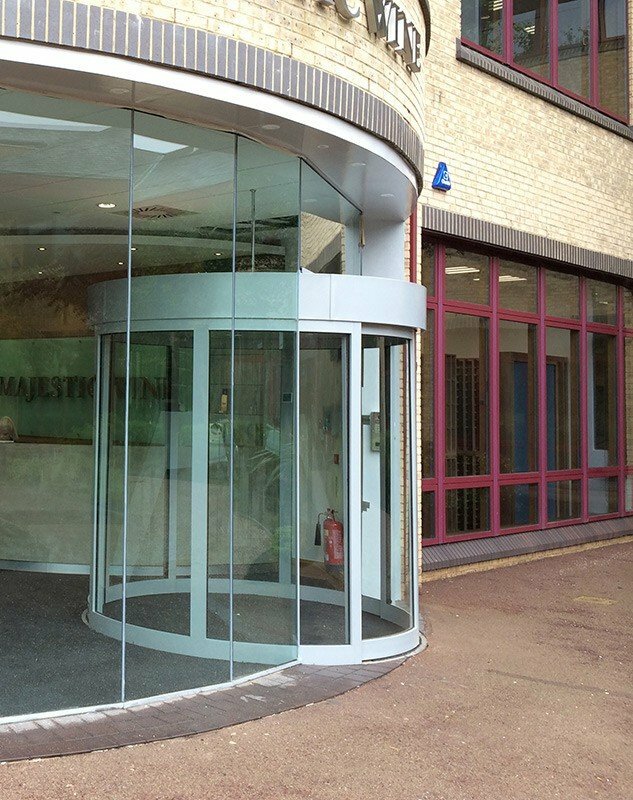 Our curved sliding doors can also be configured in half circle designs. 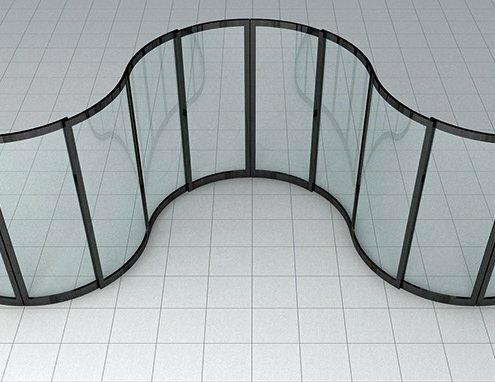 This can be either singularly or interconnecting between other curved wall panels and curved sliding doors. Therefore with several sets connected it gives the effect of a flowing wave of glass. 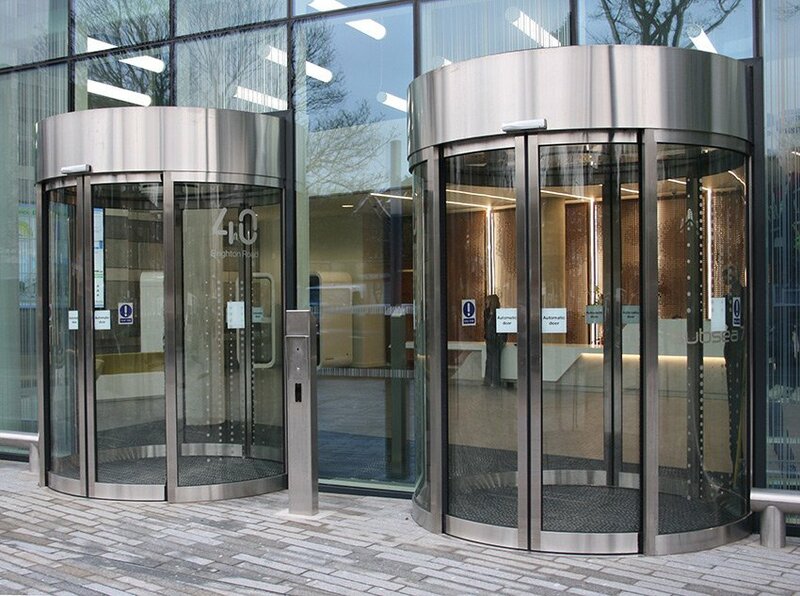 As with all of our door systems, the automatic curved sliding door is offered in a choice of polished or brushed stainless steel, brass or bronze finishes, or PPC to match any RAL colour. An optional internal heater can be installed neatly within the ceiling of the door compartment. Installed in either a concave or convex format. 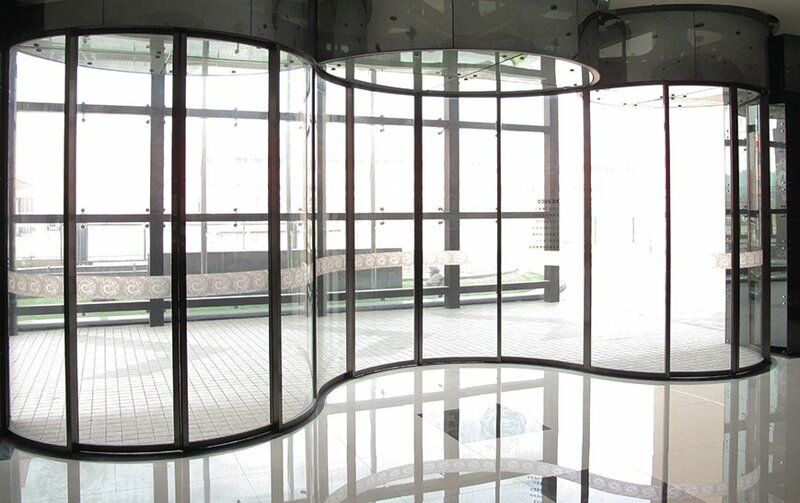 This curved sliding door creates an impressive and enticing entrance meeting the requirements of most architectural styles. 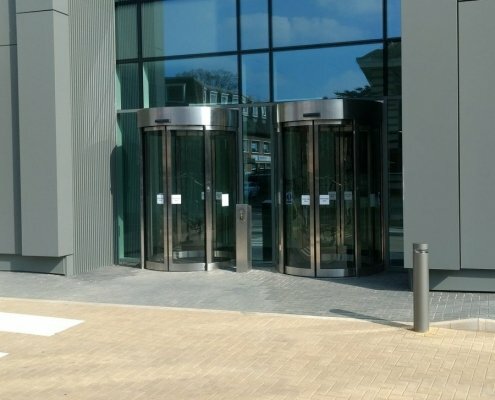 The choice of finishes allow it to match the surroundings or curtain wall and proves to be an elegant and aesthetically appealing entrance solution. Equipped with Swiss-made Main Control System (MCS) and its proprietary drive and sensor systems. 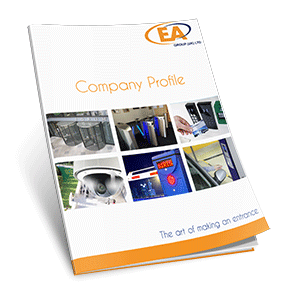 It is fully compliant with EN 16005 standards. Of course an automatic stop function to avoid injury and impact of pedestrians and objects. The control panel communicates with the MCS bilaterally and from the control panel you can choose the operating mode, set the emergency stop or change operating parameters. 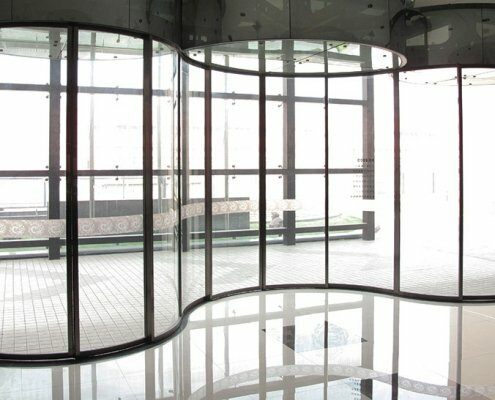 Our unique static balance technique creates an airtight, dust proof and anti-static brush seal within the curved sliding door. 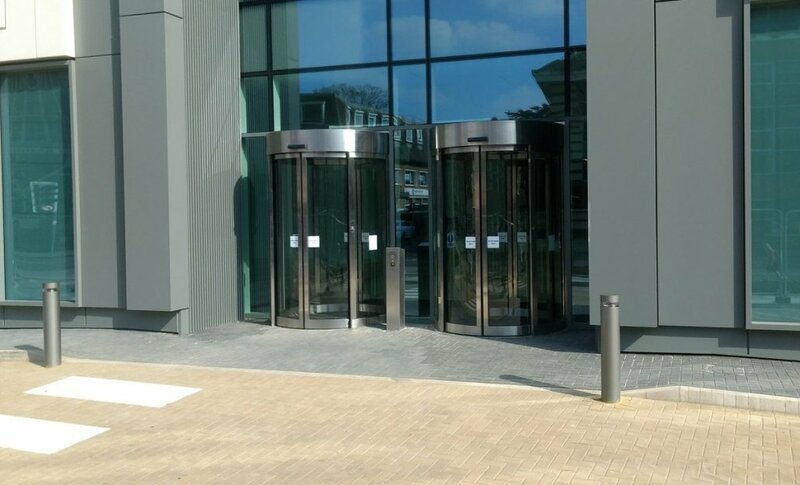 As with all of our automatic doors, this curved sliding door has been designed, tested and manufactured to meet all of the current safety standards and regulations. The optional battery pack, and emergency unit with function of voltage monitoring, self-charging and self-switching, can ensure normal operation of the door within 30 minutes upon power failure. 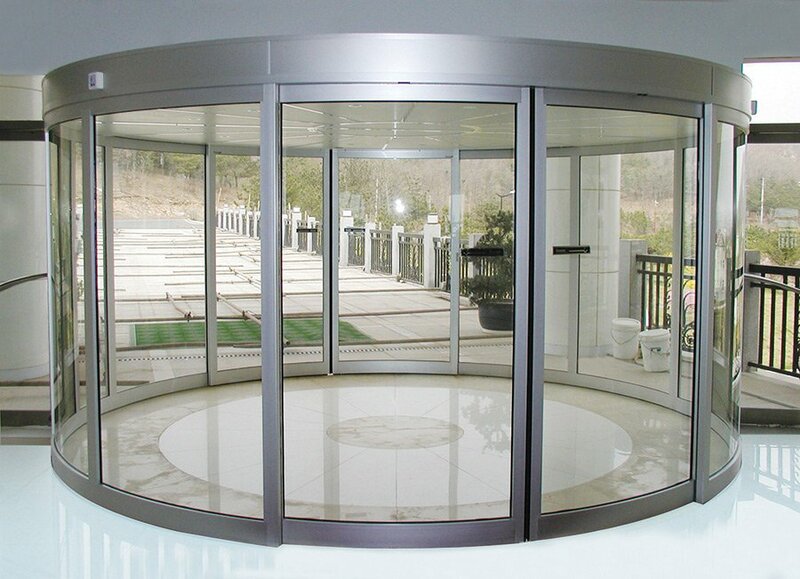 In addition, an electro-mechanical locking system can be installed for night security. 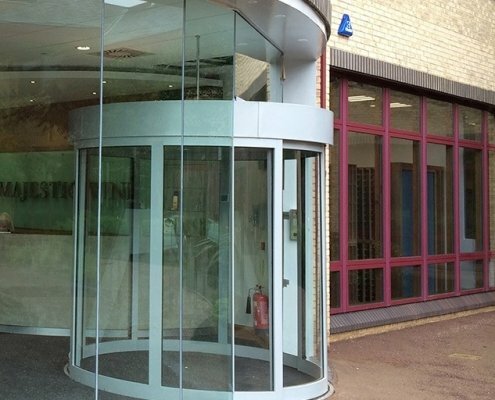 Our Curved Sliding Doors have been installed in many different buildings including offices, hotels, schools, colleges and universities to name a few. 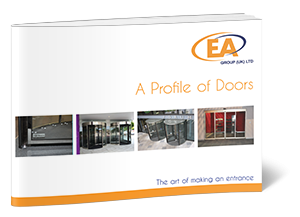 Within our brochure ‘Profile of Doors’, we show some of our Curved Sliding Door installations.